Forgive me Leonard Peacock is defiantly aimed at the older YA readers, because of the type of content covered including suicide and violence. Written in the first person narrative the book starts with the beginning of Leonards day, his 18th birthday, and he is thinking about the day. A day when he will kill his best friend Asher Beal, send four gifts to people in his life that matter to him, and commit suicide. Herr Silverman is Leonards teacher, the one caring and supporting person that we see in the book, he suggested Leonard write the letter from the future, letters that appear every so often with in the book. This novel is about one day, a bad day as far as Leonard is concerned, and we go along with him living those hours, like a ticking bomb, following his thoughts and feelings. It is a dark novel going to places no one wants to be, and we end up with sweaty palms and racing hearts as we near the end of this day. The ending? no big bang or neat endings here, it just ends. This is a coming of age novel and one that I would recommend you to read. Great read, good plot, with some humour and characters that you can relate to. Julie the main character is a witch with powers inherited from her father now dead Her boyfriend is Marcus, he does not have an ounce of magic in him, and friends and family feel their relationship puts him in danger. The story line sees students dying, Julie and Marcus have to try and figure out who is behind them. They have the help of Twyla, a Native American with Shaman powers. This book covers a number of themes that include bullying and intolerance, the author is dealing with issues that students face on a daily basis. 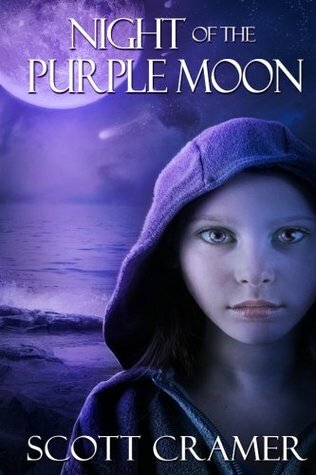 Well written and if you have read the first book in the series you will see how Julie is growing into adult hood, dealing with these conflicts at school and also with her abilities to do magic. Great second book in series. The storyline content is quite good. Kyra a 17 year old lives in Washington, but one that is a bit different to the Washington that we know, because it is also full of Gods, and prophets and prophecies, as well as vaults full of magical relics. They live side by side fairly peacefully with humans. However the Society hold the Gods existence here by keeping the Relics that could send them back to the afterlife. Kyras biggest problem she thought was rebelling enough to get her fathers attention, as well as having a prophet for a mother. That is until her father a librarian for the guardians stole an ancient relic, and suddenly she is fighting to clear his name and keep them both alive, that is without the addition of the Gods deciding this an opportune moment to take advantage of the situation. Finding out she has a family vault, with some of these ancient relics and also one with the ability to make her invisible, sort of hints at Harry Potter plots, but that aside, overall this is an enjoyable read and I look forward to reading the next one in the series. Malorie Blackman writes brilliant books and she does not let us down with this book. Noble Conflict is very much a dystopian YA novel, a popular genre at the moment. The main characters Kaspar a guardian and Rhea an Insurgent. I especially like the character of Rhea, believable and strong, but one that we really only discover through Kaspar and his remembered flashbacks of her past life. Another character that I enjoyed was Mac, with a huge personality, a librarian who helps Kaspar work out what he needs to know. There is a great interaction between Kaspar and Mac, and sometimes your not sure how this is going to unfold with them and with Kaspar and Rhea. However it does resolve itself but in quite a sad way, and without revealing the plot that is one of the sad parts of the book along with Kaspar losing quite early in the book one of his greatest friends. There are many twists and unexpected turns during the book and enough action to keep you reading to the end. Overall outstanding book, and hoping for a follow up in the near future. Firstly I would like to thank Scott Cramer for the copy I received to review. 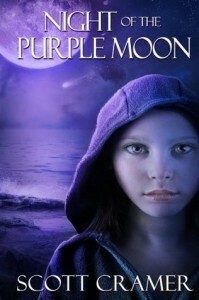 The book starts with the anticipation of the coming purple moon and the possible effects to the community of Castine Island in the first chapter. Next morning everything has changed, all the adults, except the very old who did die but more slowly, were dead. The moon dust or virus as we find out as the story progresses has killed every one from puberty upwards. Abby, Jordan and Toucan are siblings, and along with Emily and Kevin Patel, once they have got over the initial shock, Abby organises them to round up all the other children on the island and they move into a mansion, and work towards surviving until a cure is found. There is one link with the outside world, bulletins with updates by some scientists working on a cure. During the course of the story we see how strong Abby is and forget really how young she is, in some respects maybe the author should have made her older, but of course then there would have been the dilemma with puberty and getting the virus. Some children do die from the virus as they reach puberty. The author used different viewpoints and I liked this it kept the story interesting, as much of the book was about how they survived. There was also the conflict element with a few boys not wanting to join the group and living on their own, and releasing and ultimately killing their livestock by failure to close a barn door. I am interested to see how this storyline progresses and am looking forward to reading the next book in the series. I think it is well written, with interesting characters that allow you to empathise and feel for them, bringing the storyline alive and making you feel you are there part of what is happening. Well done Scott and again thank you for the book. 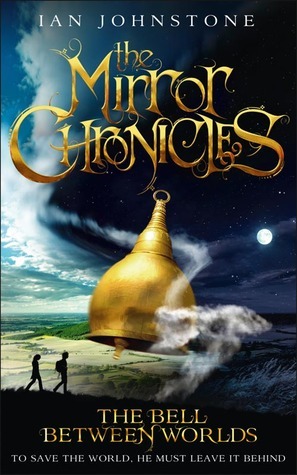 This book had a lot to live up to; it has been compared to Phillip Pullmans brilliant series Dark Materials, that I still crave more of, and classics such as Narnia. When that is done, it gives expectations that are often broken and not fulfilled. This time it’s true, this is a really good read and a series I am going to enjoy and hope the wait is not too long for the next one in the series. The Mirror Chronicles introduces us to Sylas Tate, who is living with his uncle in Gabblety Row, the description of which leaves me wanting to explore this place much more, and especially the Shop of Things, that he enters and in which he discovers some amazing things. I don’t want to spoil this read for new readers, so that is all I will say about this, but over the course of the next few hours everything will change for Sylas and he will find himself drawn by the bell between worlds t the other world, different but similar, and an adventure that will see Sylas begin to learn more about himself, his past and his mother that he thought was dead. Well written, descriptive, the author has beautifully built these worlds and the characters in such a way as to illustrate to us the reader, where we are going and who with. The book sweeps us along with plenty of action and interesting creatures and beings that make up the worlds with vivid description. Magic, good versus evil, and friendships that hold the story together and make this such a good read. Sylas learns he has the ability to read runes and to do magic, that might be my only little quibble, it was all too easy, and it would have been nice to see this ability slowly brought to light and developed, rather then suddenly he has them. This is an amazing read, and I would recommend it to anyone that enjoys fantasy tales. Fifteen years later, Obinze is a wealthy man in a newly democratic Nigeria, while Ifemelu has achieved success as a blogger. But after so long apart and so many changes, will they find the courage to meet again, face to face? Fearless, gripping, spanning three continents and numerous lives, ‘Americanah’ is a richly told story of love and expectation set in today’s globalized worldAs an author I love Adiche’s writing, her previous books were well written and full of emotion. I was not disappointed by this book; it lived up to her amazing ability to evoke in you a sense of being there, of observing each and every part of the story. The story is relevant; it explores the issue of race and immigration. Well written and an easy read with characters I could like and feel empathy with. It is a long book and a long timescale, personally I would have enjoyed the timescale to have been shorter and the length of the book filled with more depth and the chance to know some of the more minor characters better and for longer. In that sense it felt it was skimming across time, and not allowing the reader to stay long enough to know the tale. That aside the novel is in essence the story of life in Nigeria and their expectations and reality of life in America, an emotional and provocative book that was quick to read, but kept you thinking about it long after you had finished that last page. Don’t judge this book on the other books she has written; judge it on its own merit and what it is about, and the way that Adiche makes us look at these issues in a thought provoking way, while providing us with a brilliant read. Barker has delivered a well written epic fantasy. It was long, which I liked, it allowed the detail and the development of characters to evolve and grow, so as a reader I got to know them and felt I was there in the story with them. I am not sure of the title for this book, its good, but it feels like a wrong fit for this story. The story line developed the battle between good and evil and although a long book with an ending that allows it to stand on its own, I feel there is going to be more about this world and these characters. I really enjoyed it and look forward to another book in the series.